How are you smurfin’? 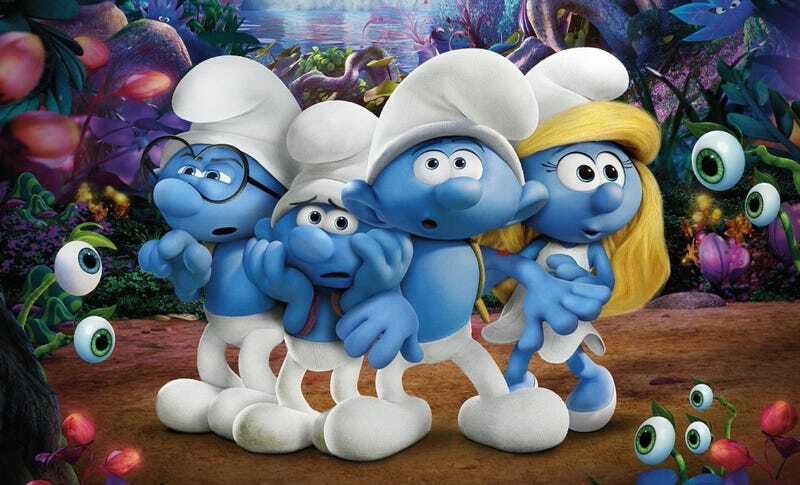 Just back from a Saturday screening of The Smurfs:The Lost Village which is a slightly psychedelic smurfy slide through the smurfyverse of Belgium’s favourite blue people. Colourful, funny, sad, and adventure-filled, it’s all those things. Smurfy! However, I was confused by a wordy paragraph in the credits which declared Sony had not received any financial incentive for depictions of tobacco. What? Who was smoking? The Smurfs? Gargamel? That darn cat? I can’t think of anything that resembles tobacco or its use? There is a fire-breathing insect that sneezes soot over Clumsy but I can’t imagine that counts. Does it? I don’t even recall a smurf blowing bubbles with a pipe? Anyone know why the movie warrants such an appendix?